Do attendees have to create an account to purchase tickets? 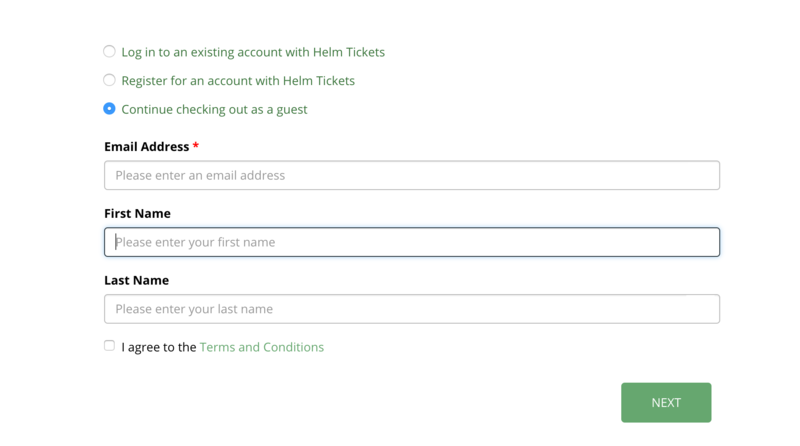 No, customers can purchase tickets as a guest, or with a Helm Tickets account. This means faster ticket buying times and fewer barriers to conversion!